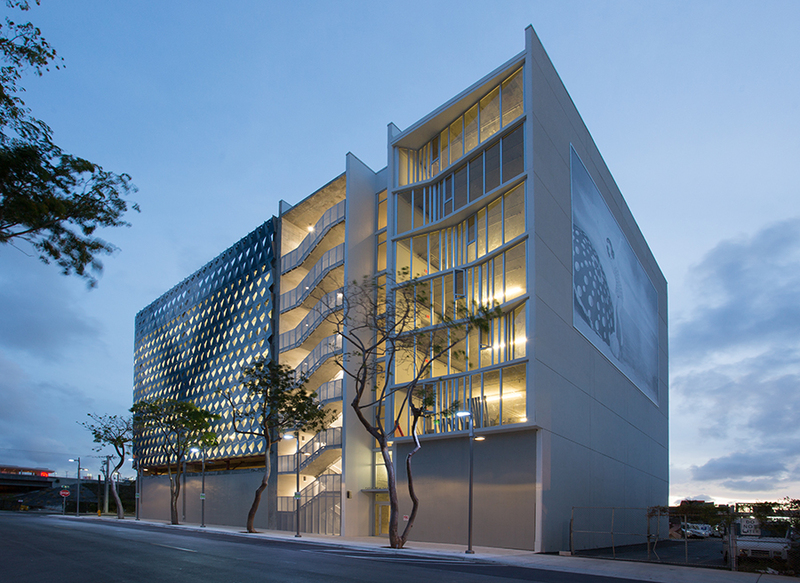 This project was commissioned by Dacra and LVMH Real Estate to design a portion of the City View Garage in Miami’s Design District. 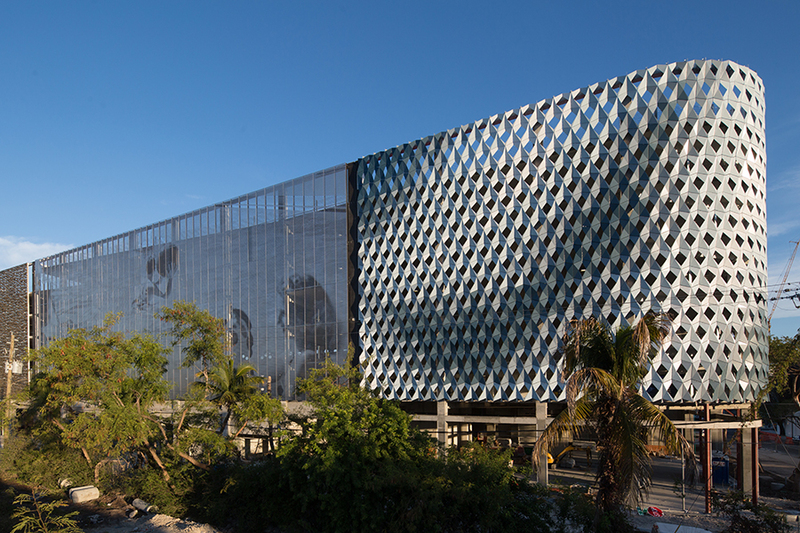 Sited along the edge of the Design District adjacent to I195, the facade acts as a billboard for the Design District. This portion of the facade wraps around the main corner of the garage. 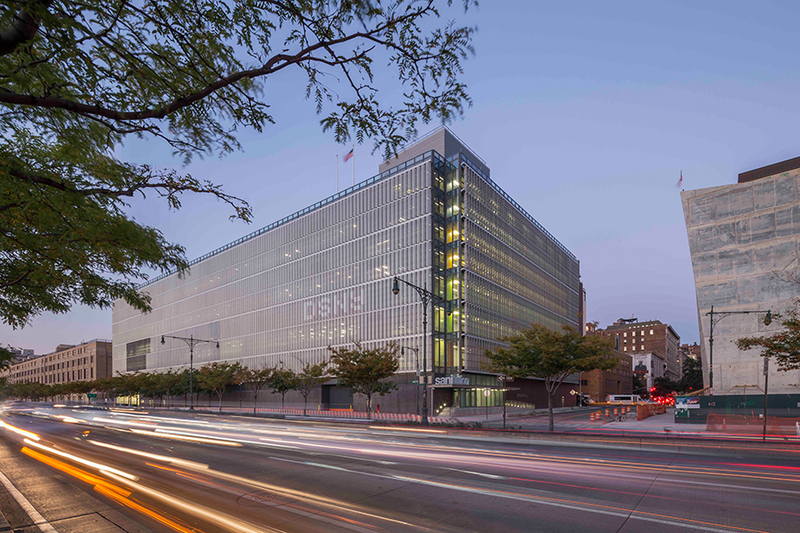 The design employs a digitally-fabricated modulated metal screen whose folded aluminum modules of varying apertures yield a porosity that allows for natural ventilation. The office facade is designed using a standard storefront system that is modulated with a gradient pattern of glass sizes.